On March 2, 1955, an impassioned teenager, fed up with the daily injustices of Jim Crow segregation, refused to give her seat to a white woman on a segregated bus in Montgomery, Alabama. Instead of being celebrated as Rosa Parks would be just nine months later, fifteen-year-old Claudette Colvin found herself shunned by her classmates and dismissed by community leaders. Undaunted, a year later she dared to challenge segregation again as a key plaintiff in Browder v. Gayle, the landmark case that struck down the segregation laws of Montgomery and swept away the legal underpinnings of the Jim Crow South. 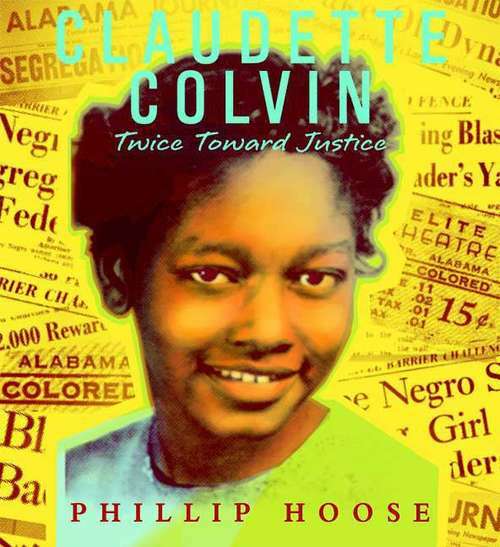 Based on extensive interviews with Claudette Colvin and many others, Phillip Hoose presents the first in-depth account of an important yet largely unknown civil rights figure, skillfully weaving her dramatic story into the fabric of the historic Montgomery bus boycott and court case that would change the course of American history. Claudette Colvin is the 2009 National Book Award Winner for Young People's Literature, a 2010 Newbery Honor Book, a Sibert Honor book, and a Jane Addams Honor book.